Max payload of 7153 pounds and max towing capacity of 23,200 pounds. You can expect either of these pickups to rise to the occasion whenever called upon, but there are some notable differences in their specs. 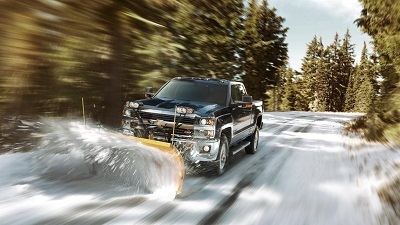 The 2016 Chevrolet Silverado is available with one of two engines – a 6.0L V8 that puts out 360 hp and 380 lb-ft of torque, or a 6.6L diesel V8 that elevates power ratings to 397 hp and a massive 765 lb-ft of torque. The first engine has a max payload of 3435 pounds and max towing capacity of 14,800 pounds, while the second has a max payload of 3275 pounds and a max towing capacity of 18,000 pounds. 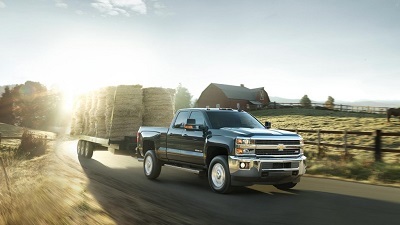 The 2016 Chevrolet Silverado is the bigger pickup and also the stronger pickup. It’s available with the same two engines, and in single-rear-wheel configurations has basically identical power ratings and capabilities. But in dual-rear-wheel configurations this pickup gets significantly stronger. When properly equipped it has a max payload of 7153 pounds and a max towing capacity of 23,200 pounds. What do you want to haul? The 2016 Chevrolet Silverado 2500 might have slightly less available performance, but it’s also more affordable with a starting MSRP from $32,955. 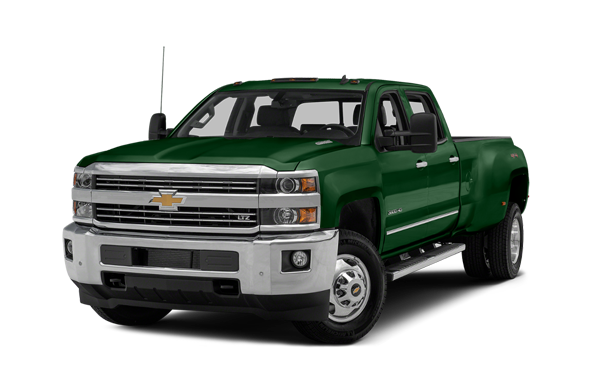 The 2016 Chevrolet Silverado 3500, on the other hand, has a starting MSRP from $34,055. For the most part, these two pickups are equipped with a number of the same features at each of the available trim levels. That is a good thing, because the list of features is impressive and assembled specifically with the needs of pickup owners and drivers in mind. These features include the standards like air conditioning, clever cabin storage, and comfortable seating. 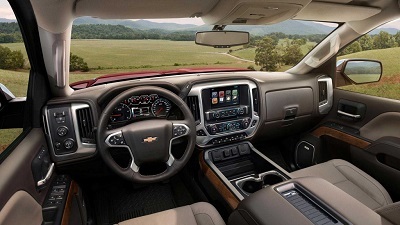 In addition, you’ll find available technology like the Chevy MyLink infotainment center with smartphone integration, a customizable dashboard display, a rearview camera, and even wireless charging. Plus, don’t forget the OnStar telematics system with automatic crash notification, emergency roadside assistance, navigation, and a 4G LTE Wi-Fi hotspot that comes standard on almost all trims. Both pickups are also available in a similar range of configurations. Each can be had as a regular cab (2-3 seats) a double cab (5-6 seats) or a crew cab (5-6 seats with 4 full doors). Both pickups are also available with either a long bed (8 feet) or a short bed (6.5 feet). 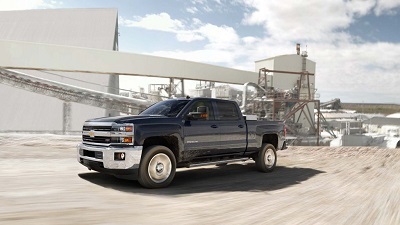 More versions of the 2016 Chevrolet Silverado 3500 come with a standard long box, though, and it’s the only pickup in the lineup that’s available with a dual-rear-wheel configuration. Which Pickup is Right for You? It really all comes down to cost and capabilities. If you want to save a little money and can’t picture yourself ever needing to tow more than 20,000 pounds, the 2016 Chevrolet Silverado 2500 is the better choice. 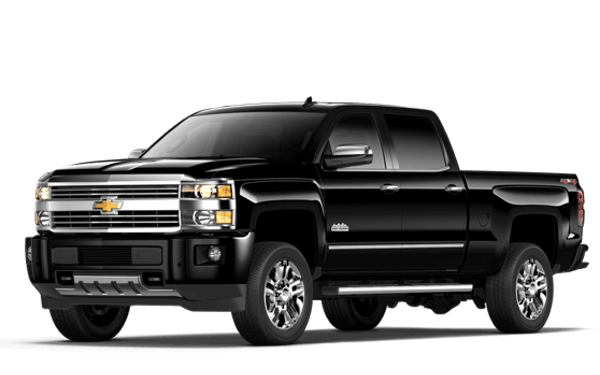 If, however, you are willing to invest more to get a pickup with immense towing capabilities, the 2016 Chevrolet Silverado 3500 is a clear top pick. No matter which one you choose, though, you’ll be prepared to get the job done. The best time to buy a new pickup is before you actually need it. Check out both versions of the 2016 Chevy Silverado at Sunrise Chevrolet, located at 414 E. North Ave in Glendale Heights, a short drive from Bloomingdale. Please get in touch with us if we can answer any of your questions.